Bet you thought this be a treatise on the glories of this wonderful, peaceful nation and all it has to offer. Suppose you expected to see pictures of ominous slave castles, spectacular waterfalls, endless beaches lined with waving coconut trees and the glorious smiles of Ghanaians. After all, I am the fellow who initiated the FB group SCRAP SHORT TERM TOURIST VISA TO GHANA and the @visafreeghana twitter account. 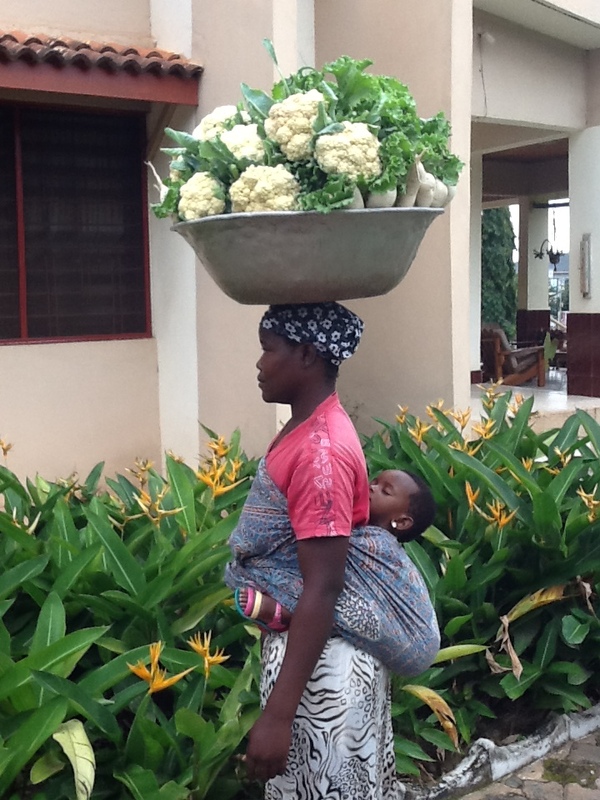 So here’s our vegetable seller and her daughter and her vegetables…. I don’t know if they are grown organically or not, but I do know she, and tens of thousands like her, is carrying a heavy load, particularly that one on her back. She desperately wants to give her daughter a better life than the one she’s had. Maybe go to school…one place she never had the opportunity of going… whatever for sure is she’s going to do it here…here in Ghana…probably here in Kumasi..
THAT MEANS INCREASED BUSINESS! AND FOR THE TOURISM SECTOR IN GHANA THAT MEANS INCREASED INTERNATIONAL LEISURE TOURISTS! You hit the nail right on the head. Anything that increases business helps the local population. Unfortunately, some people do not like the idea of more “outsiders” because they are afraid of competition. They want to run the businesses that make money but they do not want to take the risk. If outsiders are going to take the risk then so be it. The world is flat now. No need for people to get culturally overprotective. What is funny is that Ghanaians have trouble with the idea that the world is flat. 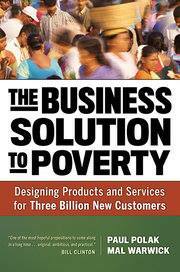 Some Ghanaians have a fantasy that the Ghanaian economy can become a true middle income economy just with Ghanaians. For the country to thrive it has to become a diverse and cosmopolitan type of a place. There is just not enough spending power for Ghana to develop to where it should without outsiders. I am sure some Ghanaians can remember “operation feed yourself” from the 1970s and how that did not work out. Rawlings also tried an isolationist strategy in the early to mid 1980s and realized that it just was not working. The country should be opened up so that visitors for pleasure and investors can be a part of normal landscape of the country. I believe that a certain percentage of tourist eventually look to become business owners in Ghana. I am not really happy with this post. 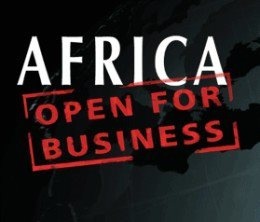 Yes Ghanaian’s need investors in as much as any developing country. We are here looking at just a small picture. Now, what improvement has the Ghana tourist agency brought to it’s people? Are they improving or failing? It’s not about spending people? It’s about purpose and what the monies are being used for. The locals don’t benefit anything to improve their tourist attractions. I am all for development, but in the right means. The African mentality is such that, greed and selfishness is the order of the day. Now speaking on the Topic that, Visa’s should be scrapped is a serious risk. Have you asked why other countries do that? Why did immigration come up? Is anybody here looking at a bigger picture than their interest? Lets be cautious people. If anybody could get up and pick a passport and travel to any where in the world, trust me… many ill things would have been happening. Lets be honest to ourselves… Human security and regulation I believe all fall under migration AKA Immigration. Lets respect other views as well as yours. Mr Scotts friend aired a video called ” Sand Winning”. When the locals were asked.. what was their responds? This is the time we should be fighting for local governance and less power to the presidency and all will fall in place.. Just sit back and think about this. My good friend Hans! To use your phrase, what picture are we looking at? What is the larger picture in your view? To my mind the picture of the petty trader with child in tow sums up perfectly would Scrapping would like to achieve. Mr Scott is honest and “mercenary” enough to say that if he had a higher and more consistent occupancy rate, he could almost guarantee this trader business. With his business, she would in all probability expand her business; her child might get an education. Who is to say she couldn’t become the next “Poku Trading”? My business “Destination-Ghana.com” (currently moving from magazines to online) attempts to promote Ghana as a tourism destination. If people are prepared to spend thousands of dollars at holiday resorts in Jamaica and the Caribbean, in Egypt and the Gambia; at Seychelles and South Africa; in Tanzania and Malawi and Cape Verde; Morocco, Tunisia, Aruba and others – then why can’t we too have a slice of that very lucrative pie? I too am honest and “mercenary” enough to want to have visas scrapped for short term visitors! But I am not alone – the Ghana Hotel Association, prominent members of the Imani Ghana think tank, travel and tour operators, TOURGHA all share the same view. Indeed there are many within the MOTCCA of the same persuasion but for obvious reasons cannot state their opinions. Ghana is not the only warm weather destination in the world – we are competing with some of the very best marketed destinations with far superior products and even they have no visa requirements. Hans, IMMIGRATION is used to describe when a native of one country wants to relocate to another. Lets be honest here…….there would be very few people left in Ghana if there was no control! The countries mentioned above all have visa challenges like us in Ghana, but they have come to the conclusion, quite rightly in my view, that the majority of their short term leisure tourists actually do return home!! So far in Ghana we have learnt that the Chinese don’t, so guess what? All Chinese nationals should be made to obtain enhanced biometric visas at 4 times the regular rate!! SORTED. Rotarian 4 Villages,I have enjoyed every bit of this piece. I have a peculiar problem that I want you to help me to send across through MADinGHANA Blog. “EXAMINATION LEAKAGES IN GHANA”. I may be deviating, but allow me to tell you an important fact I have gathered. I have been conversing with students about how examination questions leak. I have gathered that, All west African schools write the same questions set by WAEC! Nigeria leads Ghana by one whole hour. As soon as exams start in Nigeria, the questions are WHATSAPPED to Ghana, …..and the “Agents” in Ghana work out the answers, and float the answers nationwide! Those who can afford to wait for the “ALREADY COOKED ANSWERS” wait and just copy the answers on their answer sheets! What is the future of our education? Sadly, some innocent students have their papers withheld by WAEC! WAEC must wake up to solve this problem. I suggest that ALL COUNTRIES UNDER WAEC WRITE ALL EXAMS AT THE SAME TIME! Let us keep talking.